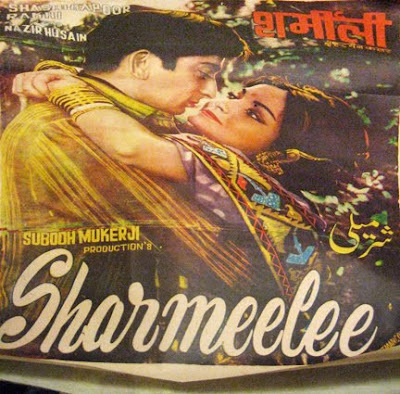 Between this amazing vintage Sharmeelee poster and an SRK-emblazoned package of pens (thanks, Irene! ), the postal service is my new best friend. Eee! Nice! I love getting fun stuff in the mail! Yesterday i received a vintage poster calendar from a "secret" friend. Made my day! Its so gorgeous! Love it Beth! Freaky! I was JUST talking about Sharmilee yesterday! Ooh, that's pretty! I picked up a Bollywood calendar from the Simithsonian earlier this year and the posters are just fabulous.